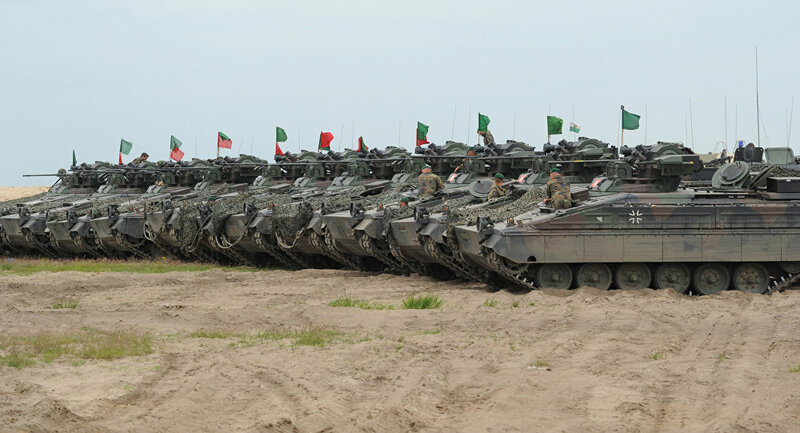 NATO Buildup on Russia's Borders: Mobilization for War or 'Just Business'? The large-scale US-NATO amassing of military forces on Russia’s Western borders, NATO’s so-called “Eastern Front,” is unprecedented and creates the impression of actual war preparations, according to Professor Stephen F. Cohen, however it might also be driven by the economics of the US military industrial complexes. The extraordinary US-NATO build-up of military forces — on land, sea, and air — on and very near Russia’s borders, or the opening of “NATO’s Eastern Front”, as Professor of Russian studies at Princeton University and New York University Stephen F. Cohen refers to it, had no precedent during the preceding 40-years of Cold War. 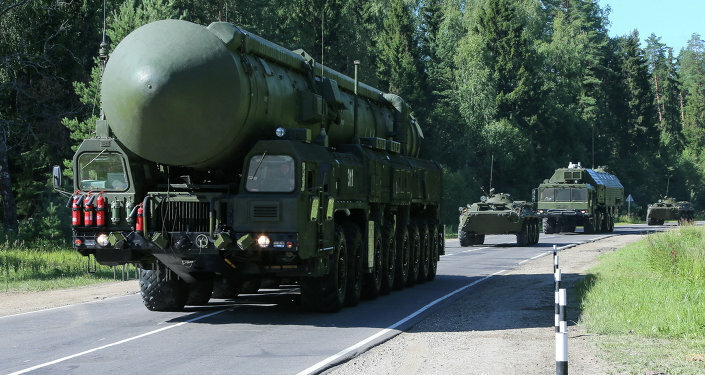 “This military buildup on Russia’s Western frontiers is absolutely unprecedented. There has never been such an amassing of hostile military force on Russia’s Western frontiers since June 1941 when Hitler invaded the Soviet Union and that’s the way the Russians see it,” Stephen F. Cohen said in his recent interview with John Batchelor on The John Batchelor Show radio news magazine. Such a massive mobilization creates an impression of preparation to actual war, the professor suggested. “What NATO is mobilizing there is a lot more than a couple of divisions here and a couple of divisions there, some armor here and some there,” he explained. “We need to understand that tens of thousands of western troops will be parked now permanently, they may say that they are rotating, but they are there permanently on Russia’s borders. Along with nuclear-ready missiles, along with a lot of tanks and, above all, in Russia’s eyes, the missile defense installation,” he added. This is so serious, so fraught with the possibility of war, he said, adding that this NATO buildup has gone beyond the Cold War, and that Russia is only reacting in response. This, the professor explained, is already beyond the Cold War, where nobody dies, this is already a “pre-war” stage, and what we are witnessing is a mobilization to war. The world has not witnessed a development like this, “certainly not in any proximity,” since the Cuban crisis with the Soviet Union during the Cold War, Stephen F. Cohen explained. When military experts ask for the reasons behind such a huge assembly of forces, they hear one and the same answer, one which is being echoed at the highest levels. And the person who formulated the plan is the US Defense Secretary Ashton Carter. “When asked to explain why there is this massive NATO mobilization on Russia’s western frontiers, he said because of “Putin’s aggression. That was the only answer,” the professor says. “Putin’s “aggression”! What “aggression” by Putin warranted this new escalation?” he questions. “The aggression we attributed to Putin was more than two years ago, when he “annexed” Crimea and when he began supporting the rebels in Ukraine. But so far as I know he hasn’t invaded or menaced any country since then,” he replied. There is this myth, Cohen says, that Putin is somehow menacing “these little Baltic States” – Lithuania, Estonia and Latvia. But it isn’t true, he replies. This is just warmongering propaganda that has no evidence to support it. “So, what Putin did 2.5 year ago, if that was an aggression, why is that we are now mobilizing in a completely different location – in the Baltic area?” he therefore questions. 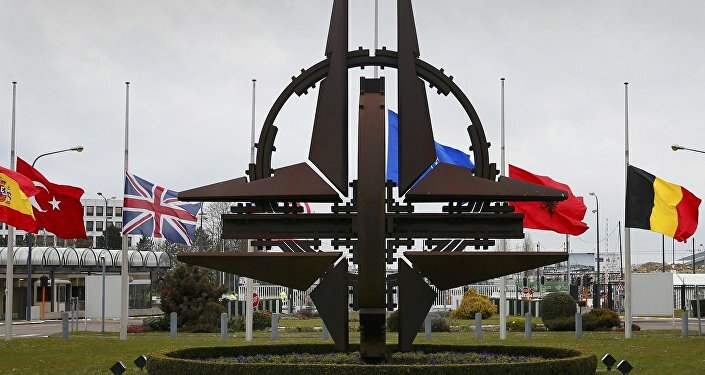 Professor Cohen also acknowledged that as these “potentially fateful” events are occurring, there is no mainstream opposition to what the US and NATO are doing or even critical questions to be asked. “Our political class, all across the spectrum is down with this, there is no opposition. When there is no opposition, where will they stop? And increasingly it looks like it may not stop there, but it is going to end in war with Russia,” he suggested. The US and NATO are escalating on Russia’s borders in a way that never happened during the Cold War, but, and it is true, Russia is escalating back, he said. It is also building up militarily on its side. “We call that aggression. But I would argue that they are reacting! !” Professor Cohen said. “I think that any reasonable person would say that any Russian leader in the Kremlin would have to react to what NATO is doing on its borders. Or he would be removed,” he suggested. And many high-ranking Russian voices, he added, are already saying that Putin is not doing enough, he is not aggressive enough to take the initiative. Is Russia really a threat? The professor wondered. How much of this is just ideology? he added. “Is it just the Cold War ideology that never died? The Cold War wasn’t about communism, it was about Russia,” he stated. When a country joins NATO, the professor explained, it is militarily has to be brought up to NATO’s standards. Most of the NATO equipment is US-made. The new member states become a consumer for the American defense industries, which have done very well as a result of NATO expansion. Some people have already suggested that this NATO expansion has been about money the whole time — it has been driven by the American military industrial complex. Is there a better way to build up your revenue than to capture a market and make it obligatory to purchase only one product. Lots of countries make military equipment, Cohen explained. 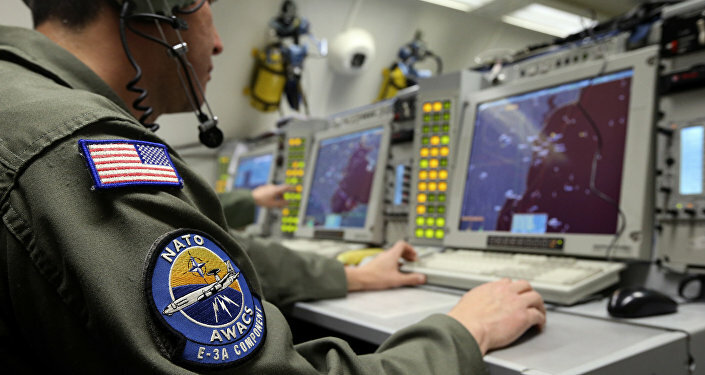 There is some NATO equipment that is not American-made. But it is all derived from American designs. It is an enormous market, he added. “So, when you look at the buildup, you look at the money, and they [US, NATO] are quadrupling expenditure on Russia’s frontier alone,” he acknowledged. And this is not the only place where NATO is active. It is on the move again in the former Soviet republic of Georgia. Again, they are talking about Moldova and it involves Romani where they built this missile defense system. “I don’t want to say that all the decisions made regarding Russia militarily are driven by the profitability of the military industrial complex I don’t know that to be true, but what I know to be true is that billions and billions and eventually trillions of dollars are going to be profited from this expansion of NATO and it continues to expand and in particularly now with the buildup on Russia’s borders,” the professor concluded.